Boka Kotorska ( in Italian bocche meaning “mouth”) is a region surrounding one of the grandest natural features of east Adriatic- the Gulf of Kotor, a series of four bays penetrating 25 km of inland. The names of bays are: Bay of Kotor, Bay of Risan, Bay of Herzeg Novi and Bay of Tivat. If you want to get to know the places, history and natural beauty of this magnificent bay, we recommend this tour organized by MH Travel. This tour will leave you breathless. With an easy driving schedule with many breaks this tour is a great option for all generations. When we planned this tour in 2011, we had a very ambitious itinerary and we visited all the attractions in the Bay of Kotor, including the peninsula Lustica. This tour was exceptionally accepted by numerous guests. In the meantime, the construction of tourist complexes with very frequent road traffic congestion began to start on the Lustica peninsula, so the existing itinerary became unsustainable. 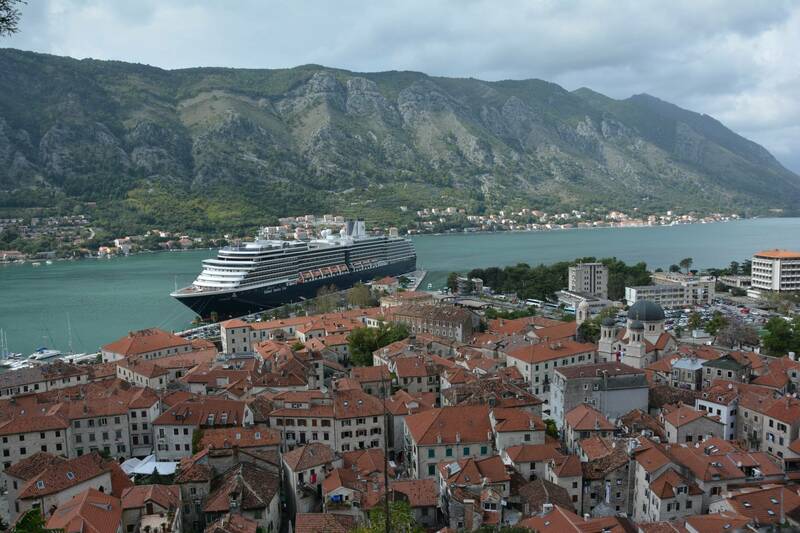 The new concept of the tour enables us to stay longer in the cities of Perast, Herceg Novi and Tivat. Perast is a beautiful small town in the Kotor Bay of 200 inhabitants and belongs to the Kotor municipality. Perast has been under the protection of the UNESCO since 1979. Its history is impressive and it was known as the center of the Boka Kotorska navy which still exists in a symbolic sense. The ships, captains, sailors, admirals, engineers, navigators, merchants, artists, priests and numerous ladies and children filled the streets of this magnificent town. Today it is full of tourists fascinated with the beauty of two small islands in front of the city. There is a church on each island. St. George's Island is closed for public, while man-made islet the Lady of the rocks is open to visitors. In Perast, we make a break of 90 minutes, which is enough time to visit the Lady of the Rocks (we go with a boat), and then walk through the main street and see the St. Nicholas church with its belfry, the town square, the Maritime Museum, as well as many traditional palaces and churches built in the 16th century that still kept their authentic looks. Old Town of Herceg Novi is full of greenery, stairs, squares and romantic alleyways. The Aftmosphere in Herceg Novi is always relaxing and extremely pleasant even in the high season. It is known for its film festival that takes place in the summer as well as the mimosa festival that takes place in winter. We will visit the old town as well as the town fort and make a lunch break. Guests who don’t want to take lunch can walk along the longest promenade on Montenegrin coast named ‘5 Danica’ which connects Herceg Novi and Igalo. Igalo is part of Herceg Novi faomuous for its beach and health center. After Herceg Novi we head back to the ferry, then cross the bay and continue to Tivat. This is the only town on Montenegrin coast that doesn’t have an old town, but in Tivat is located the most luxurious marina for yachts and mega yachts on the Adriatic Sea named Porto Montenegro. The works started ten years ago and will be completely finished in next five years. To this day there are many touristic buildings, apartments, as well as luxurious Regent hotel built in marina. Maritime Museum with two submarines from Yugoslavian period is also located in marina. Porto Montenegro is located next to the city promenade of Tivat, which is the most beautiful waterfront in the Bay of Kotor. Prices of food and drinks in the restaurants in Porto Montenegro as well as on the Tivat waterfront are affordable so that we can freely say that Tivat is an ideal place to finish our tour. With a light dessert or a glass of good wine you can enjoy the beautifully decorated Porto where there is no traffic, noise or tourist crowds. For more info about the tour and booking, contact us on e-mail montenegrohostel@gmail.com or by phone 0038269039751.